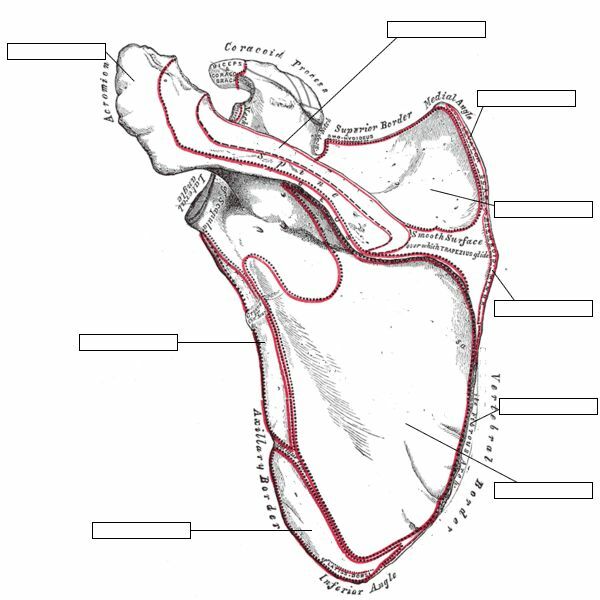 Results and stats for "Scapula attachments (posterior)"
Name the structures that attach to the scapula on this posterior view of the left scapula. N.B. Labels are based on anatomy lectures from King's College London, but the image is taken from a public domain version of Grey's Anatomy, so unlabeled details may be outdated.